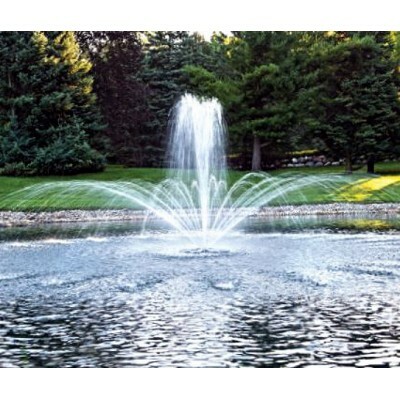 The EcoSeries™ Floating Fountain brings you the sound of water with beautiful industry leading spray patterns that outmatch other 3/4 HP and 1 HP fountains. 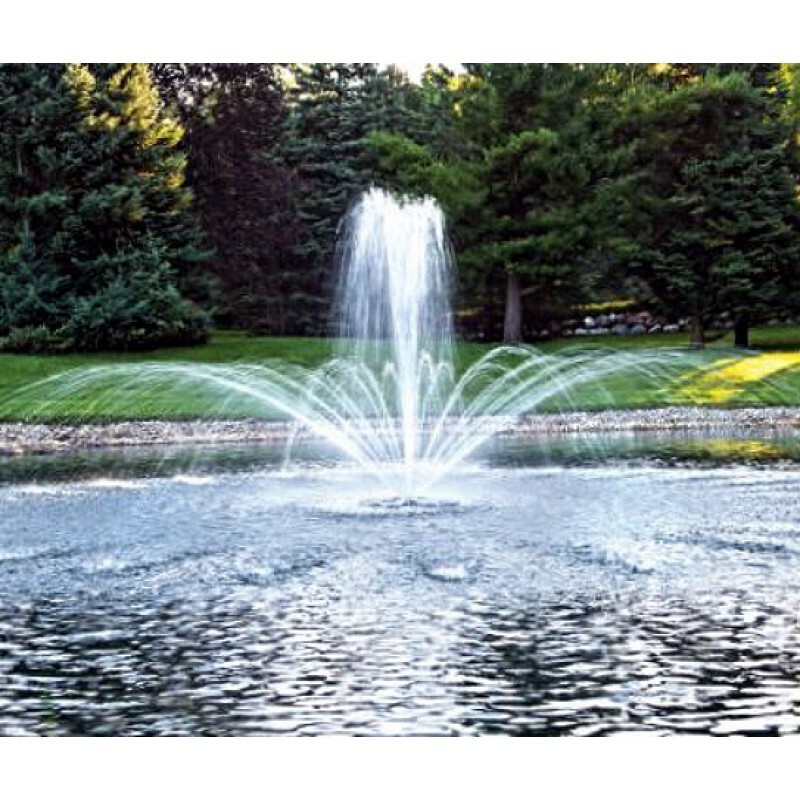 The EcoSeries™ Fountain operates in as little as 24" of depth and includes energy efficient 1/2 HP motor, 3 spray patterns, control panel and comes standard with 100' of power cord. Available in 150' and 200' power cord lengths. 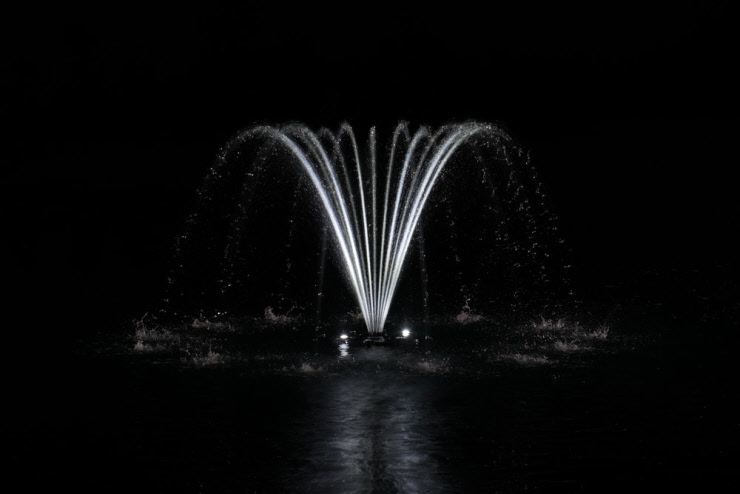 Optional lighting package includes four LED lights which attach to the low-profile float. Lighting connects to control panel with 100' cord and quick-connect. 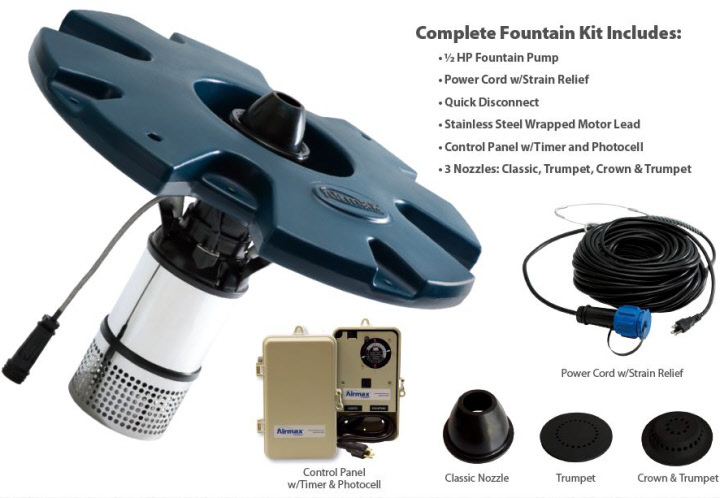 Includes 3 Spray Patterns, Classic, Trumpet and the Crown & Trumpet. 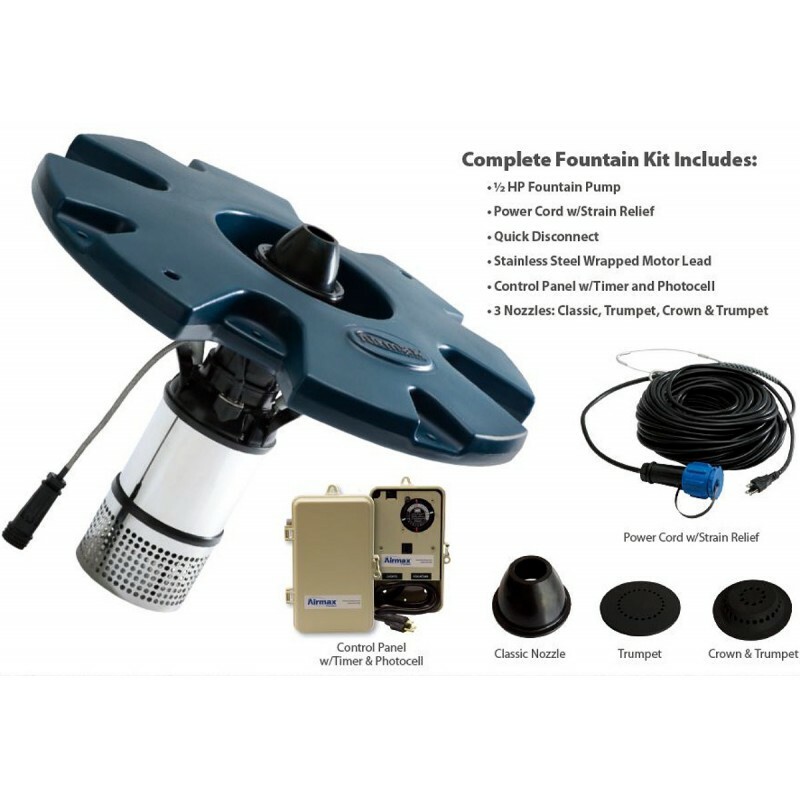 Comes standard with 100' Power Cord. All cords come with quick connects. Contact us for longer cord length option. 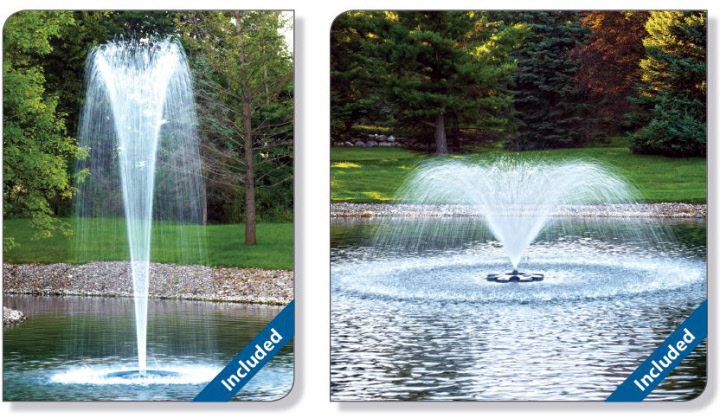 The Classic pattern comes pre-installed on the Airmax® EcoSeries™ Fountain. 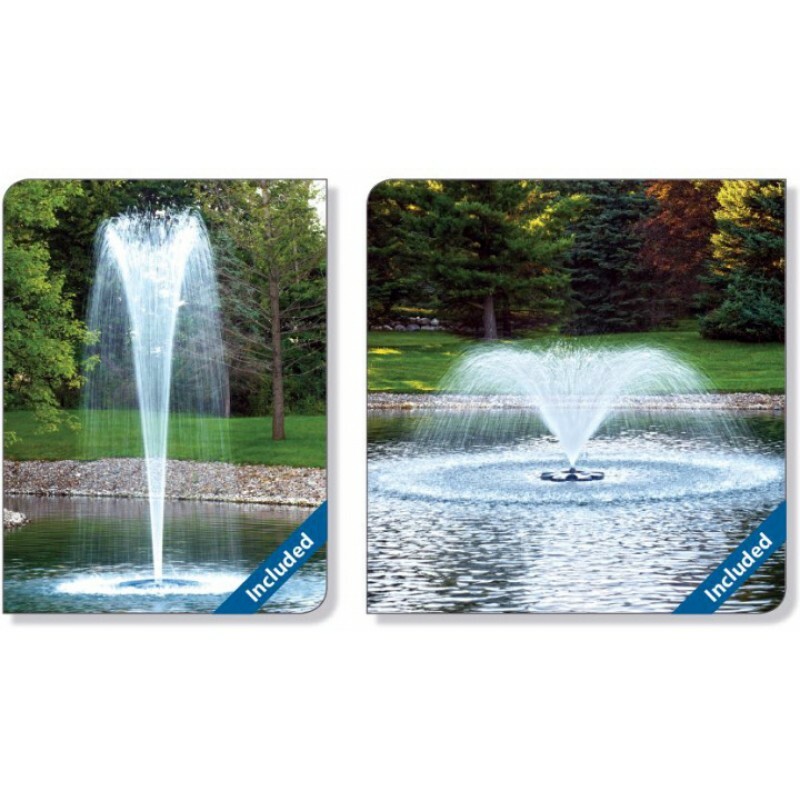 This beautiful full pattern provides relaxing sounds as the water breaks the surface. The Airmax® Crown & Trumpet pattern combines an arch and trumpet pattern creating a majestic display. The optional lighting kit is breathtaking at night!